Millennials are becoming a force to reckon with, as their numbers grow in the global workforce. Learning strategies that worked for older generations do not resonate with them. 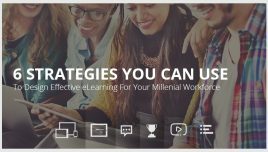 Here, I share 5 examples of Millennial-centric strategies that can help you design corporate training for Millennials. Millennials are the generation of people born between early 1980s and early 2000s. Also known as Gen Y, they are the demographic that followed Gen X. They constitute a significant portion of the global workforce today, and are estimated to grow to occupy 3/4 of the global workforce by 2025. Why Should You Redesign Your Learning Strategies To Factor For Millennials In Your Workforce? With a significant presence in the global force, Millennials are a force to reckon with. Learning strategies that worked for older generations (that is, Gen X and Baby Boomers) are not likely to resonate with the Millennials. While investment on learning is on a high priority for them, they work with different motivators, operate differently, and seek very different gains from work. 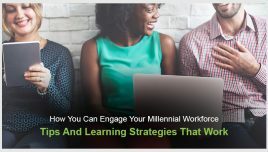 It is therefore important for L&D professionals to reassess and redesign their learning strategies to create corporate training for Millennials, by factoring where their interests lie, what puts them off, and what catches their attention, to be able to craft learning experiences that will help Millennials learn “their way”. Why Are They important To Organizations And L&D Teams? This generation has grown up differently and deserves to be treated differently. Learning strategies that worked for older generations won’t appeal to Millennials. Looking at it from a different perspective, a Millennial-centric survey conducted by EdAssist has presented some eye-opening statistics. 60% of Millennials would pick a job where there’s great scope for professional development, over a high-paying job offering steady economic growth. 58% expect their employers to provide them with continuous learning opportunities related to their job. Organizations and L&D teams should create engaging corporate training for Millennials by crafting awe-inspiring learning experiences and finding the right approach to make them feel at home as they take the training. Later in this article, I share 5 such examples that will resonate with your Millennial workforce. Why Traditional eLearning Approach Lacks The Connection To Millennials? To find the answer to this question, we must first understand what sets the Millennial generation apart. While traditional learning suits the preferred learning style of Baby Boomers and the Gen X demographic, Millennials are not so fond of this approach. Take a look at the generational differences in this table, and you will see why learning strategies for Millennials need to be remarkably different. What Does This Mean For Training? What Can Be Done To Make It Work? To begin with, we need to identify their traits and learning preferences. We need to incorporate them in the learning strategy to create effective corporate training for Millennials, that would engage them, and motivate them to apply the learning on the job. While the focus of traditional learning is on ensuring that learners are able to “remember and recall”, the focus area of Millennial-centric learning is to provide access to precise nuggets of information, and to facilitate quick application of the learning. What Are Top 10 Tips And Strategies To Design Corporate Training For Millennials? Make the training mobile ready through mLearning or mobile learning; the training must be accessible on multiple devices, such as smartphones and tablets (besides laptops and desktops). Use microlearning to promote short, bite-sized learning that is fun to go through. Use videos extensively, and offer learning nuggets in high-impact-creating, rich media formats to keep the learners glued. Provide Performance Support Tools (PSTs), such as videos, PDFs, etc. to make the training material readily available and accessible within their workflow. Set sharp and well-defined outcomes (that resonate with the learners’ need). Extend your training to Social or Collaborative learning. Engage the learners through gamification of eLearning; this will grant them a sense of reward and recognition as they progress through and complete the training. Personalize the learning to offer learners the flexibility to “pull” what they want, rather than be “pushed” toward what they must learn – offer a learning path-based approach. Make room for learner contribution through content curation, and promote inclusive learning. Make use of wearable tech to offer PSTs. Now, let me share 5 examples of Millennial-centric strategies that demonstrate how to engage Millennials in corporate training. 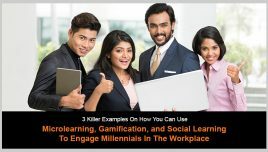 Take a look at this video that showcases these Millennial-centric strategies, and how you can integrate elements of gamification, personalization, microlearning, and Social Learning in corporate training for Millennials to create an engaging learning experience, and double the impact of learning. Same details are also captured here. We have developed a mobile app for Millennial learners who are on a path to self-discovery, and are looking to enhance their personal skills. 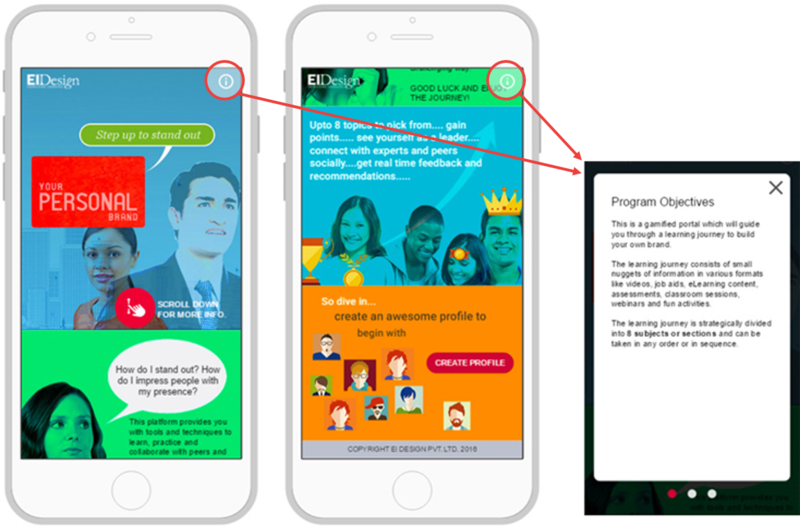 The app, which featured principles of gamification, personalization, and microlearning, was designed to help the learners identify their strengths, mitigate their weaknesses, and thereby establish their own personal brand. 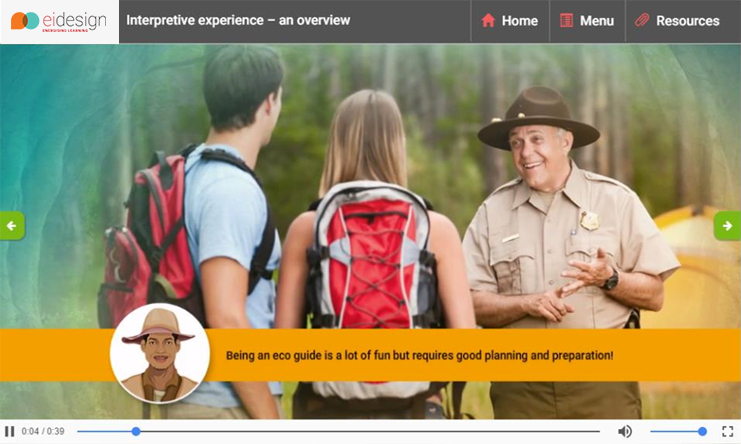 We developed a series of microlearning nuggets to help tour guides of a popular zoo learn how to enhance their skills, and engage their visitors. Here, we used engaging visuals with a rich blend of several learning elements to achieve a high level of learner engagement. Following the initial rollout of the course, the organization (the zoo) conducted a survey, which indicated that tour guides who completed the first set of nuggets received visitor ratings of whooping 8–9 on a scale of 10. 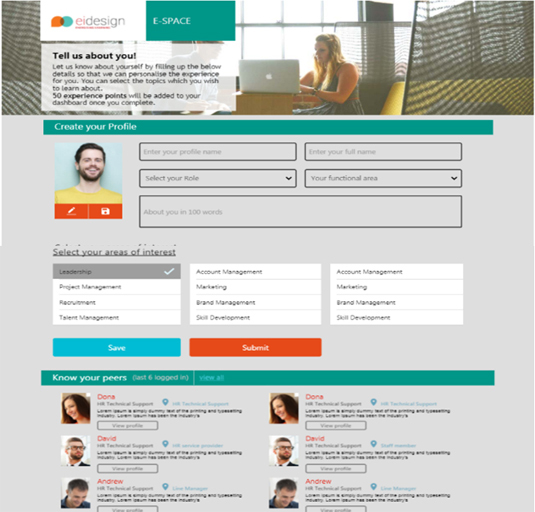 This project involved the development of a gamified portal that presented an organization’s HR policies and benefits to its employees in a fun and engaging way. 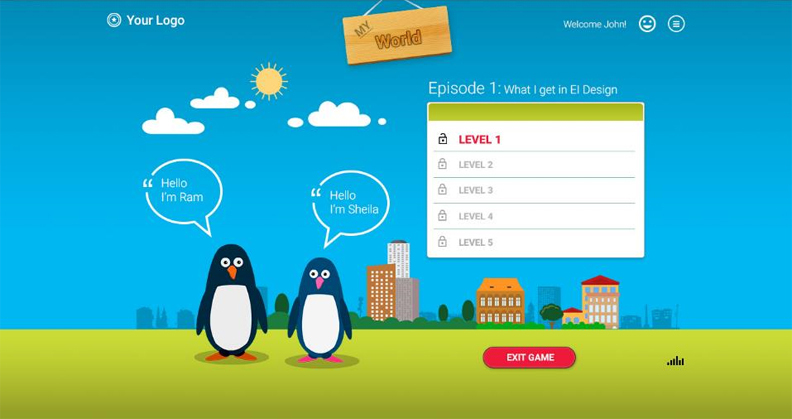 The gamified course was story-based, and was split into various levels that the learners had to go through, and this introduced the element of challenge, competition, and excitement. Upon completing the levels, learners were awarded badges and points, and leaderboards were displayed, which helped promote competition and recognition, and prompted the learners to keep coming back. We have created a demo of a content curation platform, an online portal that is designed to find, group, organize, and share the most relevant content on specific topics organization-wide. The portal empowers learners to contribute to learning pathways, and build communities that promote continuous learning. We developed an informal microlearning nugget on data security in a responsive web-based training format. This nugget, “A date with Data Dave”, features interactive parallax-based scrolling, engaging visuals, and conversational language, which engages and takes the learner through three offices with varying levels of data security. Along the journey, the learner is provided tips and best practices to protect data. 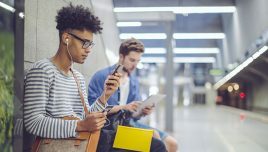 I hope these 5 killer examples of Millennial-centric strategic provides you insights on creating highly effective corporate training for Millennials. At EI Design, our practice of Millennial-centric solutions also addresses the related need for strategies that you can use to step up the engagement of your existing, traditional eLearning, so that it can engage your Millennial workforce. Check out our award-winning solutions and approaches to enhance the impact of your corporate training by booking a free demo/consultation, or you can write to me directly at apandey@eidesign.net. How Can You Use Content Curation In Your L&D Strategy?